There’s no denying that Bill Belichick is the best head coach of this era when it comes to the NFL, but where exactly does he rank when it comes to the greatest NFL coaches of all time? An NFL coach cannot be defined by only looking at their titles. You need to consider every aspect of their career, including full body of work, individual seasons, overall performance, and contribution towards the game. With that in mind, let’s look at the greatest NFL coaches of all time. 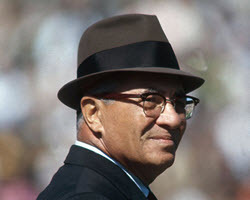 Lombardi managed to win a total of 5 championships (2 Super Bowls and 3 NFL titles) with the Green Bay Packers from 1959 to 1967. He could have had the same success with the Washington Redskins if his career wasn’t cut short due to colon cancer. Whether you hate him or love him, Belichick’s New England Patriots have certainly been a dominating force in the National Football League. 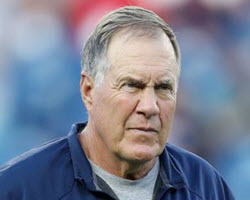 Should he be able to claim a sixth Super Bowl title or achieve 20 winning seasons, Belichick will take the number 1 spot on our list. 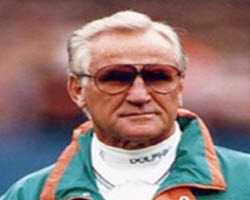 Shula initially coached the Baltimore Colts from 1963 to 1969 before coaching Miami from 1970 to 1975. He managed to claim 16 division titles and had 6 Super Bowl appearances where he claimed 2 Super Bowl titles. He is also on the Pro Football Hall of Fame since 1997. 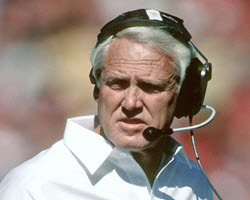 Walsh coached San Francisco from 1979 to 1988 and managed to claim 6 division titles along with 3 Super Bowl titles. He also invented a revolutionary offense and is on the Pro Football Hall of Fame since 1993. 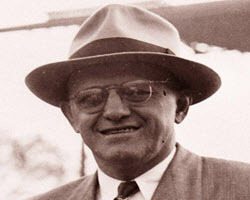 Brown is considered one of the best innovators and was the first coach to manage two football franchises, including the Bengals and the Browns, winning with both teams. His ten consecutive title game appearances with the Browns is a record that will never be broken. 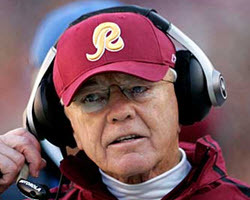 Gibbs coached the Washington Redskins from 1981 to 1992 and again from 2004 to 2007. During his career, he managed to claim 5 division titles and had 4 Super Bowl appearances where he managed to claim 3 Super Bowl titles with three different quarterbacks. Professional football certainly won’t be where it is today without the legendary ‘Papa Bear”, coaching the Monsters of the Midway for a total of 40 seasons and racking up a total of 324 victories along with 6 NFL titles. 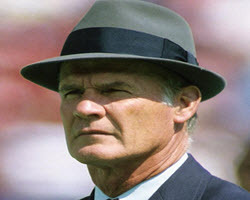 Landry coached the Dallas Cowboys from 1960 to 1978 and claimed 13 division titles along with 5 Super Bowl appearances with 2 Super Bowl titles. His record of 20 consecutive winning seasons is one that will definitely stand forever. 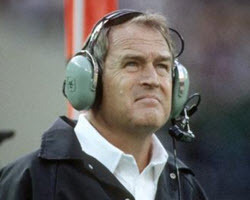 No ll coached the Pittsburgh Steelers from 1969 to 1991. He claimed 9 division titles and 4 Super Bowl titles. 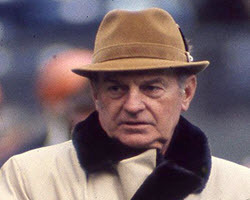 The Steelers never won an NFL championship since it was formed in 1933 until Noll arrived on the scene.